The new series for 2012 on HGTV called Holmes Makes It Right focuses on homeowners with a need to have things made right. See “Lawn and Order” Upper level deck with plastic decking installed with helical piles. See “If the Shoe Fits” A patio level granite deck on floating concrete pads. 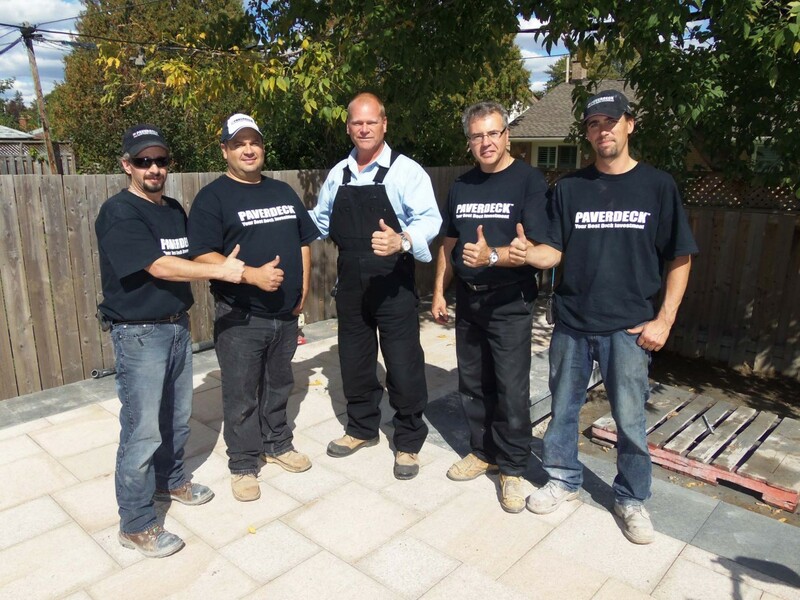 Evolutiondeck Inc. is an engineering company based in Sault Ste Marie, and manufactures the Paverdeck system for custom and DIY installations. For more information about the Paverdeck system, visit www.paverdeck.com, or contact mail@paverdeck.com. Paverdeck® is a registered trademark under license to Evolutiondeck Inc.